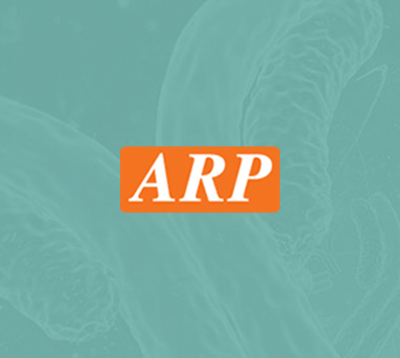 PA2G4, 1-394aa, Human, 01-1827-4 | ARP American Research Products, Inc.
PA2G4, also known as EBP1 (ErbB-3-binding protein 1), is a member of the peptidase M24C family and functions as an RNA-binding protein involved in cellular proliferation and differentiation processes. 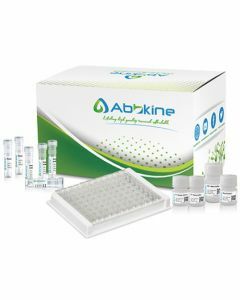 It is a component of pre-ribosomal ribonucleoprotein complexes, participating in ribosome assembly and regulating the later steps of rRNA processing. In addition, this protein interacts with ErbB-3 and may function as a modulator of the ErbB-3 mediated signal transduction pathway by regulating the effects of Neuregulin-1. 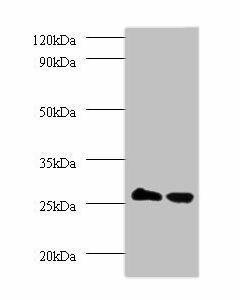 Recombinant human PA2G4 protein, fused to His-tag at C-terminus, was expressed in E.coli and purified by using conventional chromatography techniques. Yoo JY. et al. (2000) Br J Cancer. 82(3):683-90.